The Centre today launched a liveability index which will rank the country's 116 major cities on the basis of the quality of life they offer. 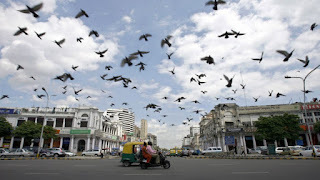 Launching the first 'City Liveability Index', Urban Development Minister Venkaiah Naidu said, it will cover cities with the population above one million, including the capital cities. The first-of-its-kind index will enable the cities know where they stand in terms of the quality of life and the interventions required to improve it. The cities will be assessed on a comprehensive set of 79 paratmeters, including availability of roads, education, healthcare, mobility, employment opportunities, emergency response, grievance redressal, pollution, availability of open and green spaces, cultural and entertainment opportunities. Meanwhile, Mr Naidu disbursed Rs. 500 crore as an incentive to 16 states that performed well in implementing urban reforms during 2016-17. Andhra Pradesh topped the list with the highest score in implementing urban schemes, followed by Odisha, Jharkhand, Chhattisgarh and Madhya Pradesh. 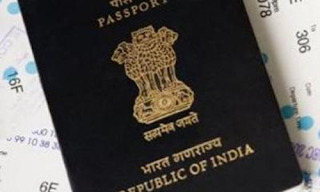 External Affairs minister Sushma Swaraj announced that the passport application fee for applicants under the age of eight and over the age of 60 had been reduced by 10 per cent. Swaraj also informed that from now onwards, all new passports issued will be in Hindi and in English both. It was also decided in December, that all applicants can submit any one of the following documents - Matriculation Certificate, PAN card, Aadhaar Card or E-Aadhaar - that have the date of birth of the applicant. Applicants now can also provide a copy of the extract of their service record, driving licence, Election Photo Identity Card or LIC policy bond. 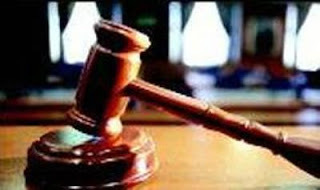 Taking a stern view of the state government’s failure to provide basic minimum amenities to children in the state-run schools, the Uttarakhand High Court today put a ban on purchase of cars, mobile phones and other luxury items by the government. In furtherance of the previous court orders, justices Rajiv Sharma and Alok Singh said that the state government has miserably failed to provide bare minimum facilities to students in the government-run schools. Keeping this in view the division bench restrained the state government from buying items such as luxury cars, furniture, air conditioners etc. till further orders. The mandatory directions were given by the High Court on a plea by Deepak Rana. Other cities like Amaravati, Gandhinagar, Bengaluru, Pimpri Chinchwad, Dehradun, Jammu, Jhansi, etc., have been selected in the new 30 Smart Cities list. With the addition of 30 new cities, the total cities taken up for Smart Cities Mission total to 90. Maharashtra forest minister Sudhir Mungantiwar announced that a mobile app named ‘My Plant’, which would help in recording data about tree plantations in the state, would be launched on July 1. Using this app, people and organisations can feed the data about the saplings they have planted with the forest department, which would help it in creating a database of trees. 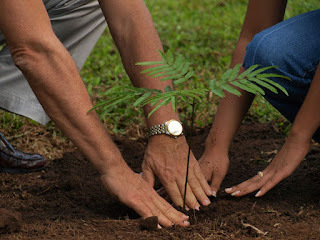 The forest department has set a target of planting four crore saplings through public participation between July 1 and 7. The endowments for faculties would be US $15,000 in the first month of residency and US $10,000, for the remaining months, said Harsh Vardhan, adding that the central government had been stressing upon converting brain-drain into brain-gain. 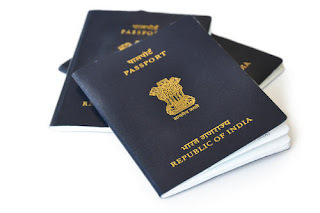 Senior officials of the Ministry of External Affairs and other government departments, besides 38 passport officers and officials of service provider TCS, attended the function where awards of excellence were presented to the best performing passport officers and police officers for best passport and verification services. The MERIT Web portal displays extensive array of information regarding the merit order of Electricity procured by State(s) such as daily state-wise marginal variable costs of all generators, daily source-wise power purchases of respective states/UTs with source-wise fixed and variable costs, energy volumes and purchase prices. 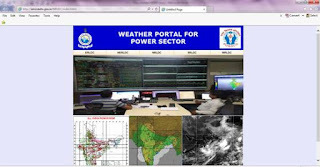 The web-portal also give information regarding reasons for deviation from merit order such as must run conditions, transmission constraints etc. To be supported by the NITI Aayog, it will create facilities and bring in stakeholders to ensure the success of innovative ideas. The CCMB is one of the 10 organisations identified to host the ‘Atal Incubation Centre', according to Rakesh Mishra, its Director. Under this, the government will release funds of Rs. 10 crore in the coming five years. 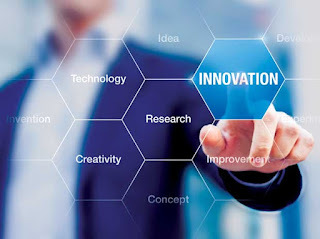 The Centre has set up the Atal Incubation Centre in the NITI Aayog to promote a culture of innovation and entrepreneurship. 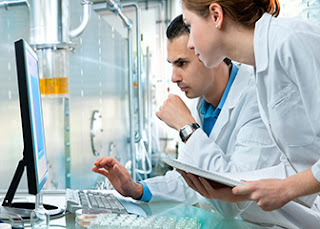 The incubation centre would engage with all the stakeholders of a biotechnology translational journey, including intellectual property agencies, regulators, seed funders, business developers, successful businessmen and research institutions. Banks for the first time have been made accountable for misselling third-party products like insurance policies or mutual fund schemes. Customers can also file complaints against banks for problems with mobile and digital banking services. 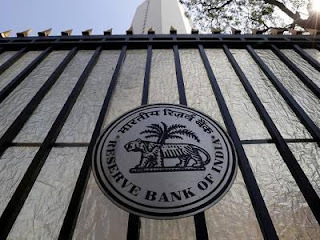 The RBI on Friday said that it has widened the scope of its Banking Ombudsman Scheme 2006 to include deficiencies arising out of sale of third-party investment products by lenders. 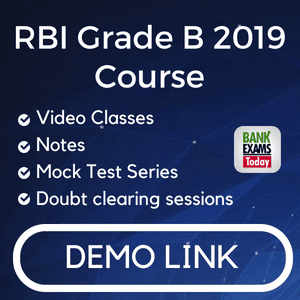 Under the amended scheme, a customer would also be able to lodge a complaint against banks for non-adherence to the RBI instructions with regard to mobile or electronic banking services. Following the amendment, the pecuniary jurisdiction of the ombudsman to pass an award has been doubled from Rs 10 lakh to Rs 20 lakh. The ombudsman has been empowered to award compensation not exceeding Rs 1 lakh for loss of time, expenses incurred and also harassment and mental anguish suffered by the complainant. Until now, if the buyer of an insurance policy or mutual fund was missold s/he had to seek redressal from the insurance company or the mutual fund. However, before filing a complaint with the ombudsman the customer has to approach the grievance redressal department of the bank and wait 30 days for a response. Yadav, who made his Test debut against Australia in March this year, is the 217th ODI cricketer to represent India. 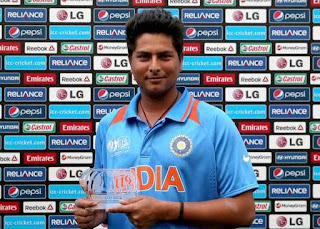 The 22-year-old was part of the Indian team at the 2014 ICC U-19 World Cup. Both countries were confirmed as full members after a unanimous vote at an International Cricket Council (ICC) meeting during its annual conference in London. Now the Ireland and Afghanistan's men's teams will be eligible to play five-day Test cricket, widely regarded as the sport's supreme format. 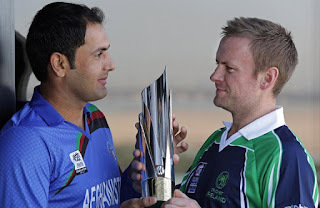 Afghanistan and Ireland have joined an exclusive club that also includes founder members Australia and England, who played the first Test match at Melbourne in 1877, South Africa, New Zealand, the West Indies, India, Pakistan, Sri Lanka and Zimbabwe. The South Asian Games gold medal winner, who was a part of the WWE Dubai tryout earlier this year, will be among the 32 participants who will compete at the Mae Young Classic tournament. The May Young Classic (July 13-14) will feature 32 of the top female competitors from around the world participating in a single-elimination tournament. Chief Minister Naveen Patnaik gave away the award to Das at a function organised by Odisha Bigyan Academy (OBA) here. The award carries a cash prize of `2 lakh. Similarly, the CM awarded scientists Pradeep Kumar Chand, Swati Mohanty and Ajay Parida with the Samanta Chandra Sekhar Award. The award carries a cash prize of `1 lakh. Biswaranjan Paital, Sasmita Mohapatra, Milan Kumar Biswal and Swarup Kumar Parida were awarded in the young scientist category which carries a cash prize of `25,000. 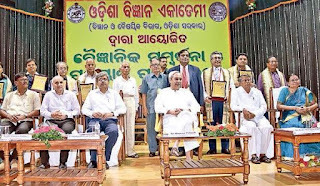 Besides, the CM felicitated Jibanananda Mohanty, Khageswar Pradhan and Dhruba Raj Nayak as senior scientists. 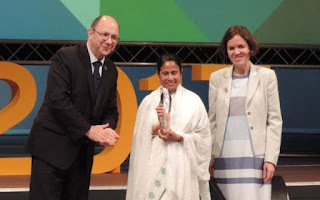 She is the first Indian woman leader to have been conferred with this recognition. This award has been presented to her for leading Intellecap to become a globally known enterprise that focuses on social capital and impacts the under served communities. 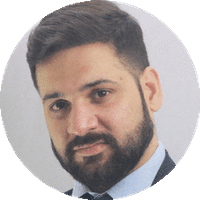 The Asian Awards function held recently is an annual awards ceremony, was founded by businessman and philanthropist Paul Sagoo through his Lemon Group Company. The awards is presented in 14 categories. Earlier winners from India include Ratan Tata, Amitabh Bachchan, Shahrukh Khan and singers Asha Bhosle and Zayn Malik to name a few. In the Social Entrepreneur category, personalities such as Professor Muhammad Yunus, Masa Kogure and Vikram Patel have been honored over the years. 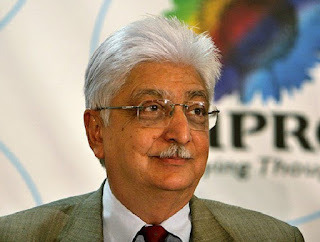 Premji, 70, who founded the Azim Premji Foundation, is among the nine philanthropists named recipients of the 2017 Carnegie Medal of Philanthropy in "recognition of their outstanding and innovative leadership in philanthropy." Forty-six per cent of the university's student body comes from villages and small towns, with a majority committing to work in the social sector after graduation. The project was launched in 2011 soon after Mamata Banerjee came to power and has helped more than 40 lakh female students in the state. 'Kanyashree' was ranked the best among 552 such social sector schemes from across 62 countries that were nominated for the coveted award. The award was presented at the World Public Service Forum by UN Assistant Secretary General at a ceremony in Hague in Netherlands. Kanyashree Prakalpa' is a targeted conditional cash transfer scheme aimed at retaining girls in schools and other educational and skill development institutions along with preventing child marriage. Khawaja will deputise in ICC meetings in case the chairman Shashank Manohar is absent. Khawaja was part of the five-man ICC working group, led by Manohar, that had drafted the new constitution last year. Khawaja will be one of the frontrunners for the role of ICC chairman with Manohar's term coming to an end next June. The mission of Vision 2020 – The Right to Sight – India is to reduce the cases of avoidable visual impairment by the year 2020. It is part of a global initiative of the World Health Organisation (WHO) and International Agency for the Prevention of Blindness (IAPB). Every quarter, the board of Vision 2020 India discusses the progress of the strategic plan and issues related to eye health. Some of the other members elected on the board of Vision 2020 India are Dr Santosh Moses, Regional Manager - South Asia, Operation Eyesight Universal (India) as Vice President; Govind Hari, Chairman, Administration, Pushpagiri Vitreo Retina Institute as Secretary; and Dr Rahul Ali, Country Director, India, Orbis International as Treasurer. 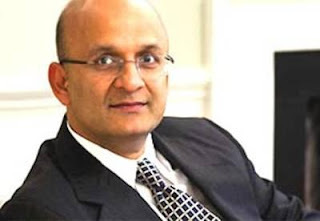 An India-born professor and IIT alumnus who has long championed a pledge for organisational leaders and managers on the lines of the Hippocratic Oath for doctors to enhance accountability in the corporate world has been named Dean of the prestigious Harvard Business School. 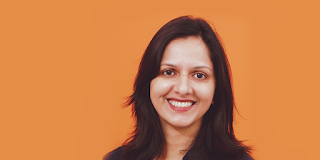 Nohria is the first Indian, and indeed the first non-white, to become the dean of the 102-year old institution that typically ranks among the top three business-schools in the world. Nohria, who will take up his new role on July 1, succeeds Jay Light, who in December announced his plans to retire at the end of the 2009-10 academic year after five years as dean.